Facebook has acquired FriendFeed , we’ve learned. We’re gathering details now. At this point details on the acquisition are still very sparse, but it’s clearly a good match. Over the last year or so, Facebook has “borrowed” quite a few of features that FriendFeed popularized, including the ‘Like’ feature and an emphasis on real-time news updates. Obviously Facebook has already built out some of FriendFeed’s functionality so there is some overlap, but there are still numerous ways FriendFeed beats out Facebook’s News Feed setup. One of these is the way stories are ‘floated’ to the top as new users comment on them. And FriendFeed’s system is truly real-time, unlike Facebook’s feed which users have to manually refresh. But the biggest win here for Facebook is the FriendFeed team, which includes an all-star cast of ex-Googlers. Perhaps best known of these is Paul Buchheit , who is responsible for creating Gmail, pioneering some of Google’s early (and incredibly lucrative) advertising products, and coining Google’s “Don’t be evil” motto. Other ex-Googler co-founders include Bret Taylor , Jim Norris , and Sanjeev Singh . And so begins the next step in Facebook’s assault on Twitter. 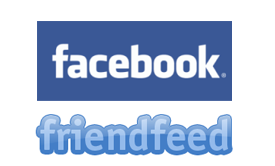 PALO ALTO, CALIF.—August 10, 2009—Facebook today announced that it has agreed to acquire FriendFeed, the innovative service for sharing online. As part of the agreement, all FriendFeed employees will join Facebook and FriendFeed’s four founders will hold senior roles on Facebook’s engineering and product teams. Taylor and Buchheit founded FriendFeed along with Jim Norris and Sanjeev Singh in October 2007 after all four played key roles at Google for products like Gmail and Google Maps. At FriendFeed, they’ve brought together a world-class team of engineers and designers. FriendFeed is based in Mountain View, Calif. and has 12 employees. FriendFeed.com will continue to operate normally for the time being as the teams determine the longer term plans for the product. Financial terms of the acquisition were not released. La Cancion de Wordpress: "Se llama Wordpress"
4 de Agosto el dia de "NO Megan Fox"